I am offering a short term sublease of one bedroom (min 1 month) in a furnished apartment to a female student or professional. ( I have two bedrooms and one is unused). The contract would be on a flexible month to month basis, with a one month notice of termination from either side. The apartment is located on the main shopping street Bondgenotenlaan, close to the train station and main bus station, and about 10 min walking to citi center. 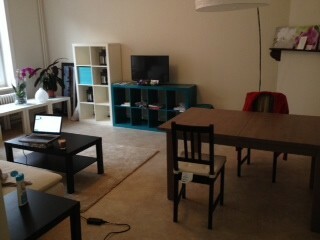 The apartment has been just painted, new kitchen has been installed and living room is furnished with brand new furniture. 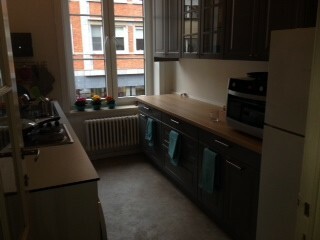 Fridge, washer and drier are also available in the apartment. 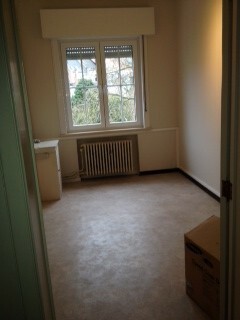 The bedroom for rent is 2,5 x 4 m, has its own sink directly in the room, besides that it is not furnished. There is IKEA store close by where you can order a matrace or bed or there is a more expensive furniture store across the street from my apartment. 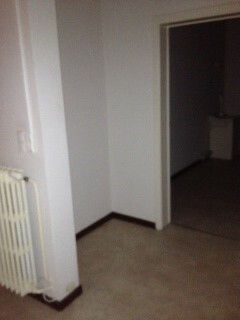 The bedroom is oriented to a yard, so it is quiet at night. In addition to the bedroom you can use a closet space 1,2 x 2 m that is in front of the bedroom. (also unfurnished). THe bathroom and toilet are older but clena and in good working condition. At the moment I live in the unit alone. Occasionally my family or boyfriend might come for a visit and stay over night. They live abroad so they will not come very often. 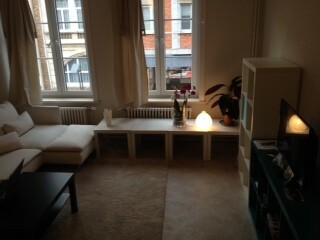 On regular basis I organise yoga and other events in my living room that you could join if interested. 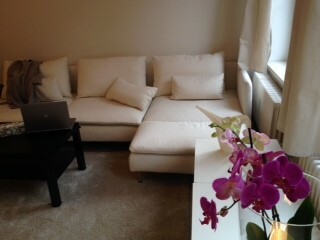 In the evening I ussually use internet in the living room. 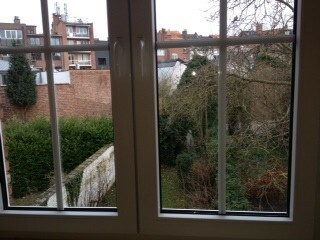 I am gone most of the day, working in Brussels. I am a non smoker, I keep the unit clean and I woudl expect the same from you. The price for the room is 375 and your portion of energies are 75 per month.